How well would she do? Would she stumble? Would she fumble? All that attention is probably unfair. But it is the price you have to pay if you are to lead a national political party. So how did she do with her conference speech? Well, it was okay. 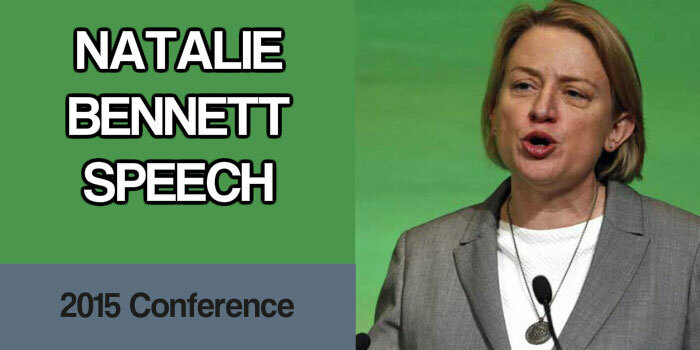 A Natalie Bennett speech is not going to win over a non-party member. Her public speaking does not ooze any sense of a wow-factor. That's because a Natalie Bennett speech doesn't build excitement or a sense of momentum as it flows. Despite the content and its themes it all seems quite uninspiring. But her speech was rehearsed and she was prepared. Yes, there were some stumbles. But that's not really an issue. Technically, she chose to use auto-cue. And that must have boosted her confidence. I'd suggest, however, that the auto-cue be raised for her next speech. She appeared to look down to read the text. And that clearly misses the point of using auto-cue. In her speech she referenced other figures from contemporary and older history. So, she mentioned Abraham Lincoln. And she also mentioned Al Gore and Pope Francis. This is a neat technique that she can improve with some more passion and timbre in her voice. The conclusion of this Natalie Bennett speech adopted some well-used repetition to get her audience going. If you're stuck in a zero-hour, low-pay job, join us and fight for jobs you can build a life on.If you're disabled or have been ill and suffered from the dreadful work capability assessment – join us and fight it. Politics should be something you do, not something done to you.2015 can be – must be - the start of the century of Green politics. It wasn't exactly Kipling. But, Natalie Bennett clearly has some speech writing assistance on board at the Green party. It's another sign that the party is beginning to gain some traction. 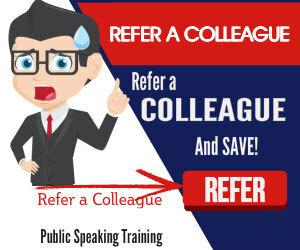 Of course, you can always get in touch when you need some help, ready for your next conference speech. 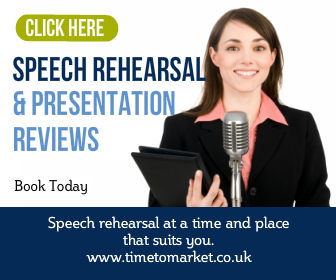 We can help with one-to-one coaching or a refresher designed to boost your speech rehearsal. So, when the time is right, please don't hesitate to call.